"I think women are foolish to pretend that hey are equal to men. They are far superior and always have been. Whatever you give a woman, she will make greater. If you give her sperm, she will give you a baby." 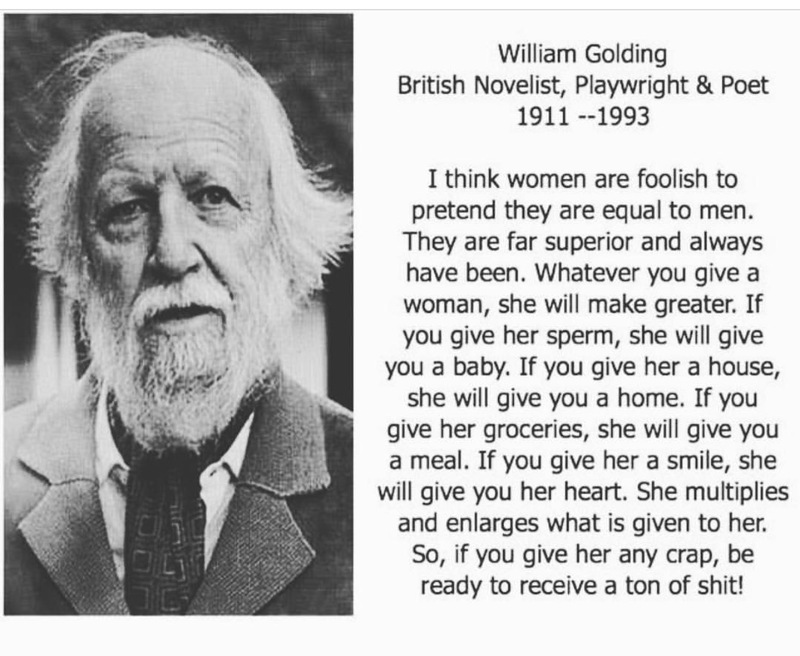 William Golding, British Novelist, Playwright and Poet, 1911-1993. You may think at this time of year Co-ParentMatch is winding down for the holidays. Quite the opposite. In fact, Christmas and New Year is the busiest time of year for sperm donation matching. So many women are looking for that one gift that nothing can ever supersede. You could receive some really fantastic gifts this year from Santa Claus however no gift can ever compare to the gift of sperm donation to a woman who has a burning desire to become a mother. Thousands of women will be opening their presents on Christmas day with a smile and full of thanks however deep inside they know that no amount of gifts can dull the ever present yearning of their maternal instinct. Our aim this year is to reach as many men who are struggling to think of a Christmas gift to sign up to become a sperm donor. Imagine how satisfied you will feel when you can say “Merry Christmas, my gift to you is my sperm” #MyGiftIsSperm . Just a point, if you are married, this gift idea may not work well on your wife! Not all sperm donors donate sperm for money, although for students, a little extra help in the form of cash for college is a welcome sight. Sperm donation is about something more important. Not every couple or single woman is capable of having a baby without help, some people struggle to conceive. As a sperm donor, even if you could help just one couple get pregnant you have done an amazing thing. Sperm donors are screened carefully for their medical and genetic history. When you donate through a sperm bank your sperm can be shipped all over the world. What type of Sperm Donor are You? Sperm donation through a sperm bank where your identity would not be released until the child reaches 18. No Contact Donor No involvement in your child's life although you may choose to share your identity with your child. WHY WE NEED YOU TO DONATE SPERM? Each year we need approximately 70,000 new sperm donors, as some donors can no longer donate. Most men between the ages of 18-65 are able to donate sperm. Around half our current sperm donors are over the age of 35. That's why we need more young people (over the age of 18) to start donating sperm, so we can make sure we have enough sperm in the future. There are a shortage of sperm donor so if you are a healthy male looking to help someone's dreams come true then register to become a sperm donor. This will be the best Christmas present you have ever given.